For years now people have been fighting over whether more wind turbines should be built or not. As a country we all like the idea of preventing damage to our environment as well as having cheap and readily available energy options. So when looking at wind power you would think that it is the best way to go. No fumes or toxins, no fuel needed, and besides occasional maintenance there is almost no operational cost after installation. But as with everything there are trade-offs. While some think that these giant windmills popping up throughout the Columbia Gorge are elegant and give a warm fuzzy feeling at the thought of all that green energy, others think that they are an eye sore. 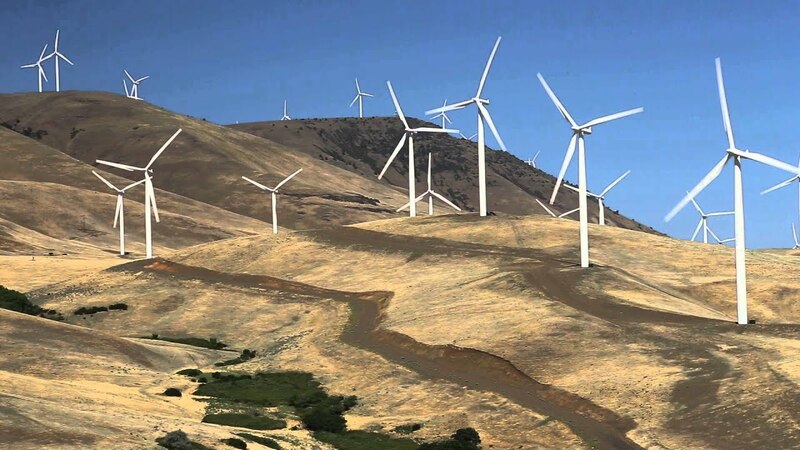 There have been many complaints here in Oregon and in other parts of the country about how these wind mills are ruining the natural landscape and destroying views of the countryside. I can understand where they are coming from but this isn’t really a valid argument. The windmills are not being forced onto these peoples’ private lands though they are having to look at them constantly and sometimes listen to them during wind storms. Unfortunately that is just part of life the same way that I have to look at my neighbors messy yard and listen to their dog bark at all hours of the night. In the minds of many a green energy source far outweighs any kind of view obstruction for a few unfortunate people, therefore that particular argument is mostly ignored. That is why the bird safety concerns were brought up. Data was collected about bird deaths and their relations to wind turbines. It makes sense. Big tall tower with blades spinning fast, sometimes at 180 mph. If a bird got close it could definitely be hazardous to it’s health. Initial estimates showed about 140,000-328,000 bird deaths per year nationwide due to wind turbines. But this is a falsely acquired number. These estimates were based upon the Altamont Pass Wind Farm in California which is one of the oldest and biggest wind farms in the U.S. This particular farm is made up of very old models of windmills dating back to the 1970s and 1980s. These models feature a latticework construction that attracts birds by providing perching places even though it is not safe. These mills also use a smaller blade design that spins much faster and therefor is much more dangerous for birds than newer designs. On top of all that, this particular wind farm is also along a major migratory route for many species of birds. The bird mortality from this particular farm was studied and then applied to all other farms across the U.S. and that is how that very large number came about. But newer farms do not have nearly the same mortality rate due to technology advances. More accurate estimates now put wind mill bird mortality for the U.S. at 10,000-40,000 per year. Yes, the Altamont Pass Wind Farm is definitely a bird killer, no one will dispute this. But things have come a long way. Wind mills now are made with smooth towers so birds will not perch on them, the blades are made much bigger so that they move more slowly while still creating the same if not more energy. And most importantly new wind farm areas are studied to make sure that they are not in migratory pathways or in places where large bird populations are likely to develop. The Altamont Farm is currently in the process of switching many of its older towers out for newer more bird friendly models. People against wind energy will often say that wind turbines are not efficient and bring very little energy compared to cost. This is very misleading. It is really hard to calculate wind powers efficiency as compared to cost for a variety of reasons. Costs for wind power vary quite greatly depending the design of the tower, how much maintenance is required, and cost of taxes/land rental fees. Older towers are not nearly as cost efficient as newer ones for the obvious reasons that they are wearing out and that the technology is outdated. Placement of towers is key to getting efficiency, this comes down to choosing the region for the farm as well as the placement of individual towers themselves. Finding places that are continuously windy is paramount to creating energy with wind power. Probably the biggest reason that there is an inconsistency in wind power output is that when there is excess power on the grid wind farms are the first to be shut off. Coal plants work best when they are ran at a steady rate, fluctuations in heat cause inefficiencies and can damage the plant itself. Because of this and the fact that staff have to be there 24/7 it is not economical to take a coal plant offline or reduce its output temporarily if less power is needed on the grid. The same goes for other fossil fuel power plants. Hydroelectric dams are able to fluctuate their power output to a certain extent but must be very careful how much water they retain or let through the dam because these fluctuations have a big effect on the rivers they are built on. And again these facilities are staffed 24/7 which means they cost about the same to run whether they are producing power or not. The excess power on the grid comes from the fact that we need a lot of power during the day and have therefore built our energy production to suit those needs, but during the night we need significantly less. Because of this, green energies such as hydro and wind are dialed back at night so that the fossil fuel plants can continue to run efficiently. What is needed is a way for extra power to be stored for later use on the grid. This would allow us to continuously run our green energy sources and store the excess for later use which along with expansion could lead to a major reduction in fossil fuel use. Unfortunately at this point our current battery technology is not advanced enough for power storage on the magnitude that would be needed for this. Until we come up with a method better that Pumped-storage Hydro or better batteries we are stuck in the energy rut we are currently in. wind falls into the resulting hierarchy. Until energy storage is greatly improved wind power cannot be used to it’s full potential.